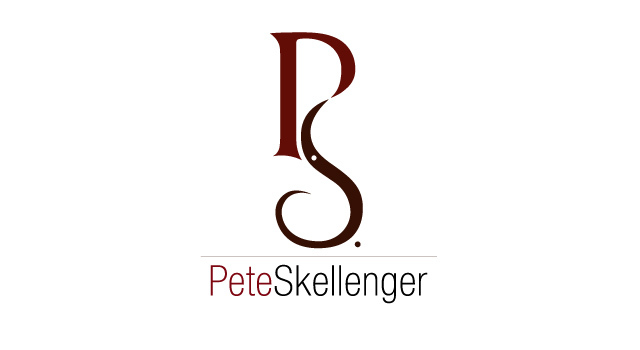 Pete Skellenger - BrainstormOverload - Small design studio. Big ideas. Sometimes the process of working through a logo sheds unexpected light onto core decisions about the business. While working through logos for the company Wood Stoppers the client came to agree that the name itself was going to limit his company’s perception and future. As an artist we came to the conclusion that branding him would always encompass whatever work he chose to produce. For this logo the P and S are formed by shapes suggestive of the lathe tool and wood shavings that are such a part of Pete’s work. Early versions of a logo that focused on a particularly successful product line – hardwood wine stoppers.